Every so often we like to take the opportunity to let you get to know members of Team WindFarm a little better. 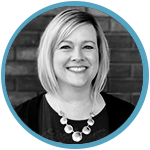 Today, we’re featuring one of our rockstar Inbound Marketing Consultants, Kimberly Keyes. For those of you who already know and work with Kimberly, you are probably aware that she is talented, professional and a pleasure to work around. What were you doing before joining WindFarm? 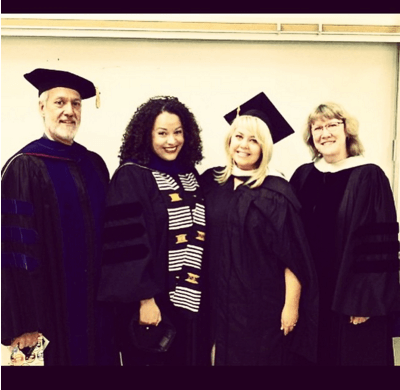 In August of 2014, I moved back to Sacramento to finish my M.A. I had been working as a publicist in San Francisco and I loved it - but I love the pursuit of knowledge and contributing to the greater good more. I packed my suitcase, had a few tearful goodbyes and made my way home to the “City of Trees”. What made you decide to join the team at WindFarm Marketing? A couple years ago, I went to a Tech Panel with speakers from Medium and Buzzfeed and I asked them where they saw the future of public relations. They told me that not only do they expect it to thrive, but it would be important in the digital space. I realized at that time that I wanted to learn more. To be successful at sending a message, you have to know the medium after all. I was beyond thrilled when the opportunity with WindFarm became available but I knew it was exactly what I was looking for after I met Josh and heard about his values and vision for the company. What has been most exciting about this transition? I absolutely love learning and this transition allowed me to apply the expertise I have while learning a whole new skillset. The Inbound Marketing methodology is revolutionary and it is so exciting to be on the ground floor of it. What did you like most about working in San Francisco? San Francisco is such a magical place and I was lucky to be working in the middle of all of it. There were art shows, museum exhibits, opening nights and cocktail parties. I worked for an incredible agency who specializes in lifestyle, arts & entertainment and I was really blessed to experience how much San Francisco can really sparkle. When you study PR they say that PR is never like that, but for a couple years it was for me and it was so magnificent. We’re so glad you came back to this area Kimberly! We (and our clients) are grateful to have you here, as you have become such an important part of our team. Lisa is a Project Manager at WindFarm Marketing, delivering results and resources across the agency to delight both team members and clients. When she’s not at work, you can find Lisa hanging out with her family, baking goodies, or posting coffee pics on Instagram.